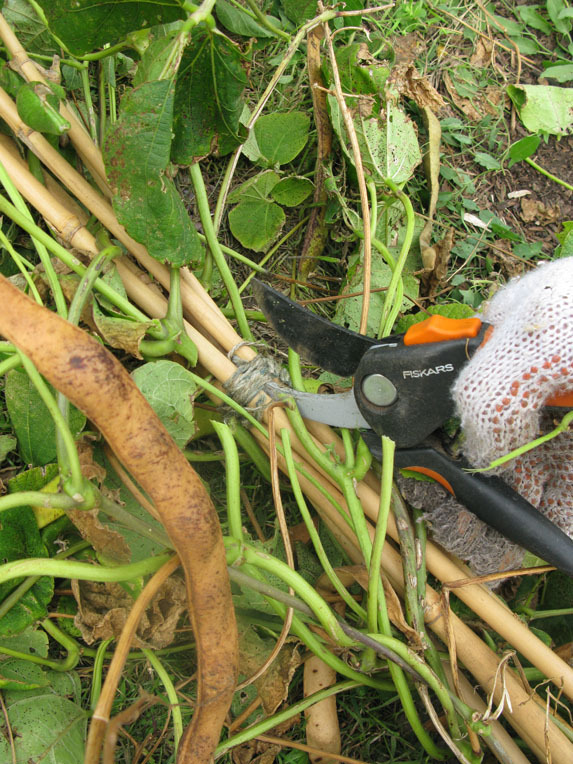 DO YOU struggle to untangle twining runner bean stems from the wigwam of cane supports at the end of the season? 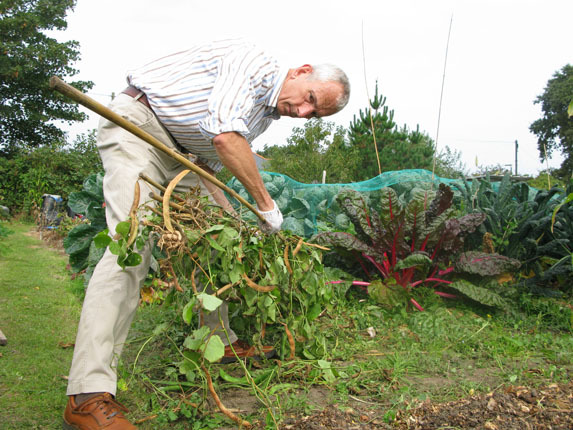 Here's how Amateur Gardening Editor Tim Rumball tackles the problem. 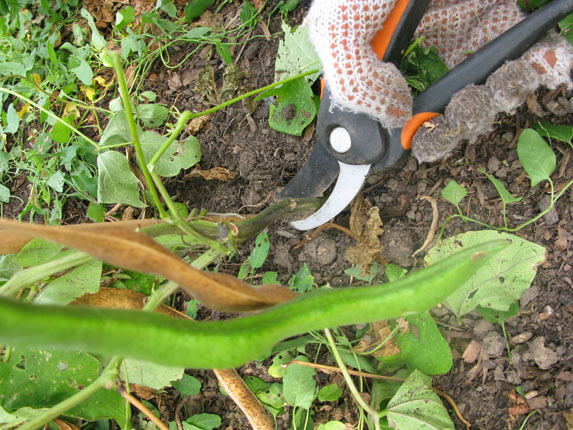 CUT all of the bean stems at ground level, as well as any ties attaching the stems to the canes. 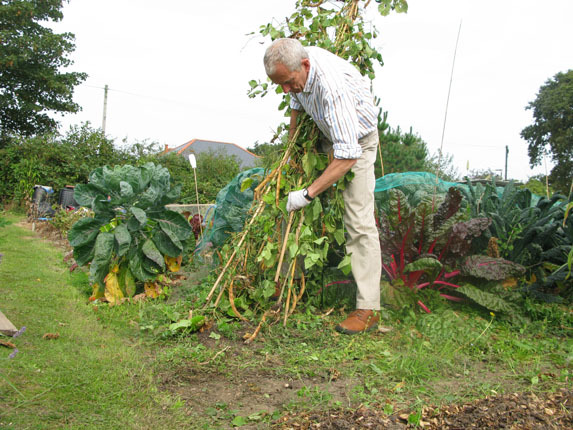 LIFT the wigwam out of the soil and lay it on the ground – this shouldn’t be too heavy. CUT through or release whatever is binding the canes at the top of the wigwam. NOW grasp the bottom of each cane in turn, twist firmly anticlockwise and pull hard. 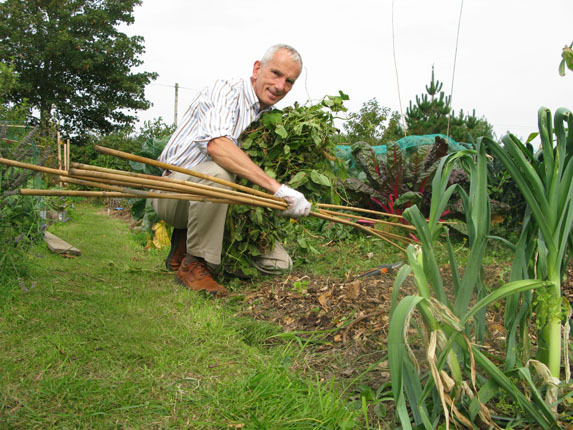 CANES should slip out easily, leaving a neat bundle of bean stems to compost.